Easy and powerful way to make your own music and have fun! Awesome drum pad controller to make tracks, perform lives or create sound packs. Beatmakers and finger drummers, we’ve designed our app for you. 5000+ sounds in different genres in our library including future beats, chill, neuro funk, trap, big room house, electro. Every sound pack is created with love by our professional music team or in collaboration with famous producers and DJs. Fresh sound packs every week. Create sound packs: mix our sounds, import your favorite songs, sample vocals or real instruments with a microphone. Make your unique pack and share it. Import sound packs from your friends to collaborate and make something absolutely new. Use pattern editor with 16 steps for each pad separately and create more interesting and complicated beats! Enable pattern editor for any pad and use one of four pattern slots to set up your rhythms. Record your own track anytime and anywhere, turn it into video and share it with your friends. Drum Pads 24 is the key to have fast fingers so that can be epic on any drum pad controller. 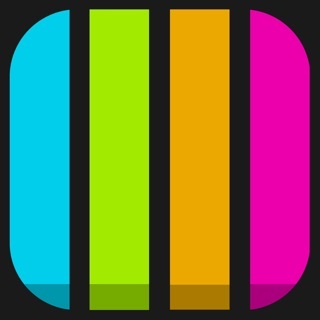 Perfect rhythm app with step sequencer approved by professional beatmakers! Watch new videos from Drum Pads 24 Crew members and learn new beat making tricks. Share your beats, share your music, share the fun! You can access all sound packs. These prices are for the US. Pricing in other countries may vary. Enjoy playing Drum Pads 24 and become a member of huge Drum Pads 24 family! Want to collaborate or have suggestions? Email us: drumpads24help@gmail.com! This update brings the new useful feature for all sound pack creators: now you can import audio files from any other app. Choose an audio file with a melody from, let's say, Garage Band, tap Share and choose option Copy To Drum Pads 24. It's the first step to create a new sound pack with Pad Editor. Open Files app and choose several audio files (chords and vocals, may be), that you've prepared previously with Ableton and loaded to iCloud, and import them directly to the newly created sound pack. Or you can send that files to Pad Editor directly from your computer using Air Drop. Add kick and hi-hats from Drum Pads 24 Library and that's it, your sound pack is ready to be presented to the world. And yes, you can do it with our Feed directly in the app. Share your sound pack and get support from beat makers from all over the world in our Chat. Sounds nice? Then make it right now! Great App! Thank you for making this! I have been relentlessly searching for a good music maker that doesn’t cost any money. Most of the apps I found were total scams. They were free but you had to pay a lot of money and constant ads every 5 seconds. Some were just confusing and just overall bad. But then I found this! Even though half the packs cost 100 coins, it's ok because you don’t have to pay tons of money! All you have to do is just continue watching ads and you'll get coins! And even if you don’t feel like watching ads, you can always download packs that other people made... But I do wish for some sort of search bar or feed that helps you find packs that other people made because there’s 100 packs or so made every day and we don’t have time to scroll for hours to download a pack we want. It would help for hashtags to be made so you could find something more easily. Other than that, this was very helpful! Keep up the good work! Thank you so much for your feedback and support! As for your idea about the search bar in the Feed, we do have it in plans and hope could realise it one day. Hi! First of all thanks for using the app so long! We appreciate it. Can you please specify what price would be fair? Also, we want to clarify that subscription is not the required option, you can skip that screen, you can use all free sound packs and all your previously purchased sound packs without a subscription. All your purchased sound packs should be still available as soon as you use the same account that was used to purchase that sound packs. If it's not the case we will be glad to make it clear if you can drop us a line directly via the app. Feel free to contact us! Thank you for such a great review! We appreciate it and will try to do our best not to disappoint you :)!